Close Your Eyes, Hold Hands is the story of Emily Shepard, a homeless girl living in an igloo made of garbage bags in Burlington. Nearly a year ago, a power plant in the Northeast Kingdom of Vermont had a meltdown, and both of Emily's parents were killed. Devastatingly, her father was in charge of the plant, and the meltdown may have been his fault—was he drunk when it happened? Thousands of people are forced to leave their homes in the Kingdom; rivers and forests are destroyed; and Emily feels certain that as the daughter of the most hated man in America, she is in danger. So instead of following the social workers and her classmates after the meltdown, Emily takes off on her own for Burlington, where she survives by stealing, sleeping on the floor of a drug dealer's house, inventing a new identity for herself, and befriending a young homeless kid named Cameron. But Emily can't outrun her past, can't escape her grief, can't hide forever-and so she comes up with the only plan that she can. I absolutely LOVE Chris Bohjalian and all of his previous books that I have read so I probably am not the most unbiased reviewer you could have. However, I can say that I think that Close Your Eyes, Hold Hands was probably my absolute favorite of his because it was so compelling to me. Close Your Eyes, Hold Hands is set in New England, namely the state of Vermont, and having been to the places he talked about in the book probably largely influenced my enjoyment, especially since he described them so well yet so subtly. Oddly enough, I have a good friend who is a social worker in Burlington so I found the interactions between Emily and those trying to help her somewhat familiar and very heartbreaking. This story had so many things that I just loved about it. The plausibility, the characters, the heartfelt emotion and just the utter despair that Emily felt just all drew me in in their own way. I tried to imagine putting myself in her shoes and being so utterly alone and devastated at such a young and tender age. I felt that I couldn't but I could definitely empathize with her situation and pray that it improved. This story almost felt like I was hearing about someone's real struggle and I found myself doubting that it was all fictional, and I even found myself looking up nuclear power plants in Vermont, to see if this was even something that could happen. 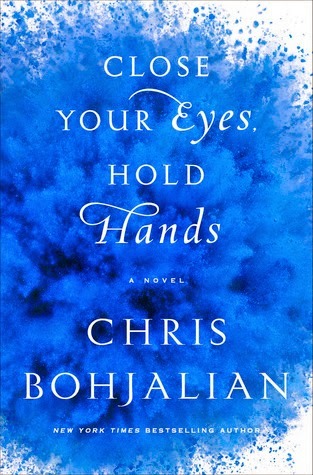 I found Close Your Eyes, Hold Hands impossible to put down and can only hope that his next book is as powerful and gripping. I promise you that if you pick this book up, no matter what type of book you enjoy, you will not be disappointed.